In the first of our partnership meetings in Perth and Kinross, the group explored how much they knew about the New Health and Social Care Standards, and why they wanted to be part of the partnership going forward. Partners came from a range of health and care at home services and were able to collectively reflect on how much they already knew. Many participants expressed that this was a unique and valuable opportunity to bring different service providers together in the same room. 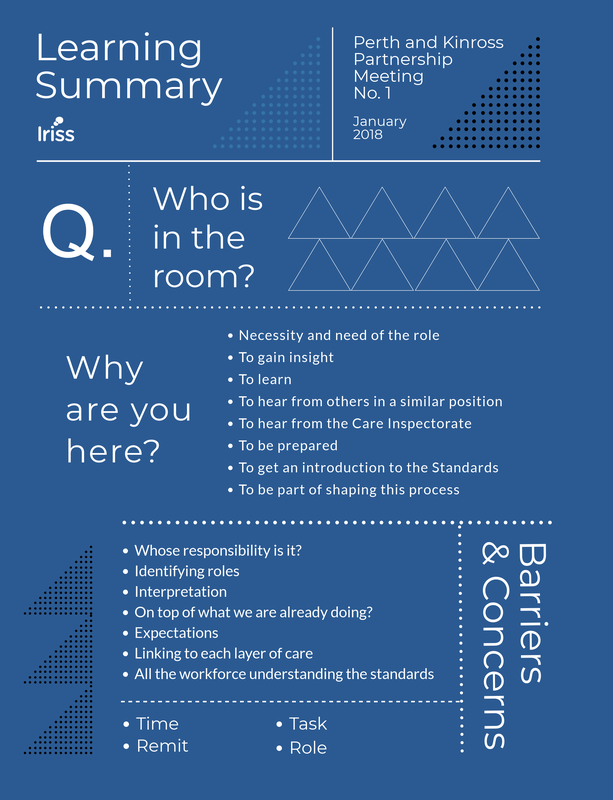 The group started with a mapping exercise, to explore how each of their roles and services connected, before being given time to collectively discuss any barriers or concerns they may have in relation to the new care standards and how they aligned with the care they currently deliver. The following section highlights key learning taken from their discussions.